New Zealanders have a notoriously offbeat see see of humor, as you would have seen on Flight of the Conchords. 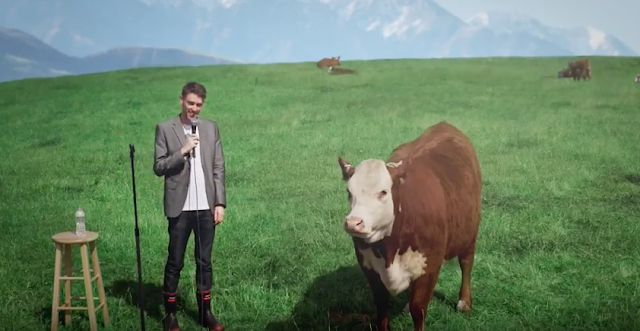 A new campaign for New Zealand Jerky from creative agency North brings some twisted Kiwi humor to the tagline “Serious Meat”— they tell beef jerky jokes to a cow. New Zealand Jerky views itself as a healthier jerky option, as the first Non-GMO verified beef jerky sold in the US.